I am an English website designer offering a range of modern website design and development services. My portfolio includes published work and a range of international clients. 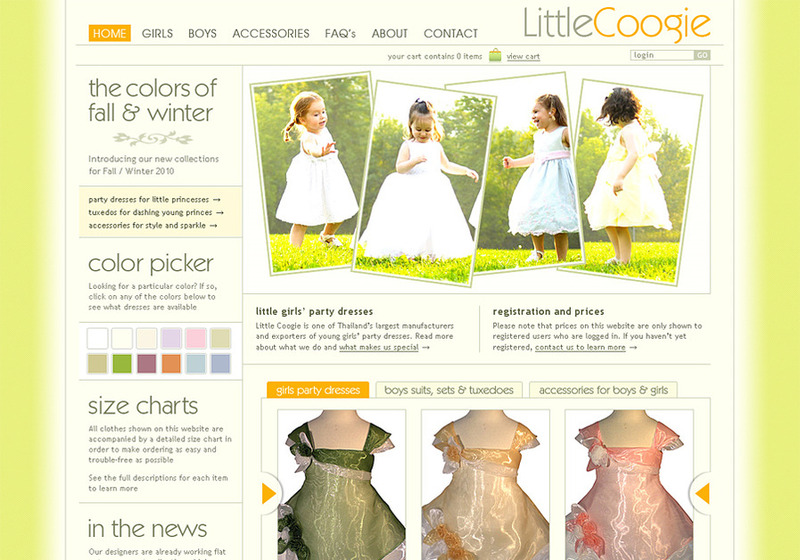 This is a screenshot of the website I made for www.littlecoogie.com, Thailand's second largest manufacturer and exporter of young children's clothes.